Josh Singer won’t tell me where he keeps his Oscar. In 2016, he won Hollywood’s most coveted award for cowriting Spotlight, the movie about Boston Globe journalists uncovering the Catholic priest sexual abuse scandal that also took home the Oscar for Best Picture. “Ummmm,” he hedges. It turns out that Singer wasn’t being coy about where he keeps his Oscar (in the living room, over the TV). He was probably thinking about something else. Awards are great, but they aren’t the point. For Singer, the stakes are higher: to create socially relevant movies that sell tickets but also make people think, and talk to one another—to entertain, rise above the din, and drive change. Singer’s background plays against type: a double major in math and economics at Yale, a stint at McKinsey, and a joint degree in business and law from Harvard—all admirable accomplishments, but none a prerequisite for screenwriting. Singer acted and sang his way through high school and college but lost that creative outlet while working at McKinsey. 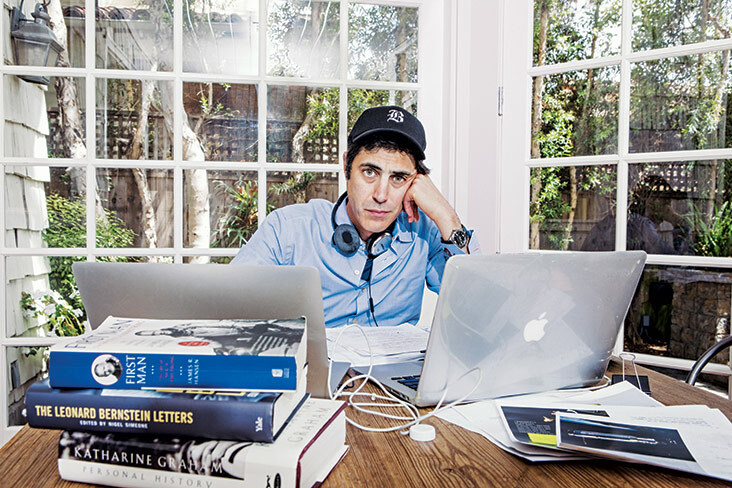 So he began tinkering with stories, eventually making a pact with himself during business school: “I decided to write two hours a day—and if I actually had something to say, maybe I was a writer. By the end of my first year I had finished a draft of a children’s novel. Which was terrible.” But he did seem to have something to say. Singer’s father had always stressed the importance of fulfilling one’s potential, and encouraged him to pursue the JD/MBA degree as a way to ensure that he’d have all the necessary tools to do so. But as his time at Harvard drew to a close, Singer continued to wrestle with what to do next. Law, public policy, and politics offered the most obvious avenues to create positive change in the world. But watching how the 2000 presidential election played out in the Supreme Court’s Bush v. Gore decision made him pause: “I became very disheartened with politics as a way to move the needle,” Singer says. He was still writing, though. And while he hadn’t sold anything yet, he went to his parents, dual degree in hand, and told them that he’d like to try to write for a living. “The only question my dad asked was how long I was going to give it. I told him three years. Neither of my parents blinked an eye, which is really pretty remarkable,” he recalls, noting that his father had footed the bill for eight years of education at that point. There were certainly more lucrative offers to consider, a return to McKinsey among them, but Singer opted instead for a part-time position with a kids’ online storytelling startup that gave him the mobility and flexibility to couch surf, network, and continue writing. When approaching a project, Singer says he first takes in an event’s or a life’s full span through extensive reading, research, and interviews, cherry-picking moments that tell the story with the greatest economy and drama. Because that story is playing out on the big screen, he adds, those moments are often highly visual, with no lines of dialogue. Even then, however, Singer is putting words on the page to guide the filmmaking. 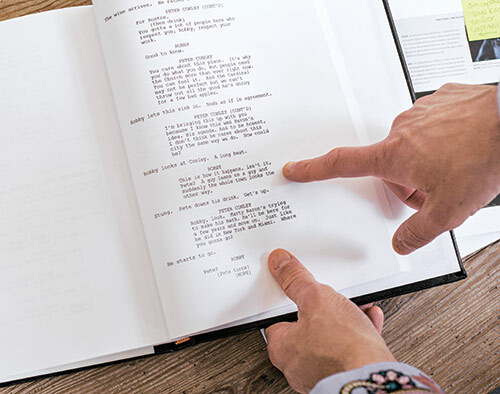 “A script is a sales tool,” he says. “Movies are narratives, but they also have a color, a tone, a feeling—you’re trying to get people to understand your vision.” It’s a process that begins with Singer outlining an overall treatment of the story. “That allows executives, producers, and the director to get on board with your battle plan, even if it’s going to change dozens of times along the way through production and postproduction,” he explains. 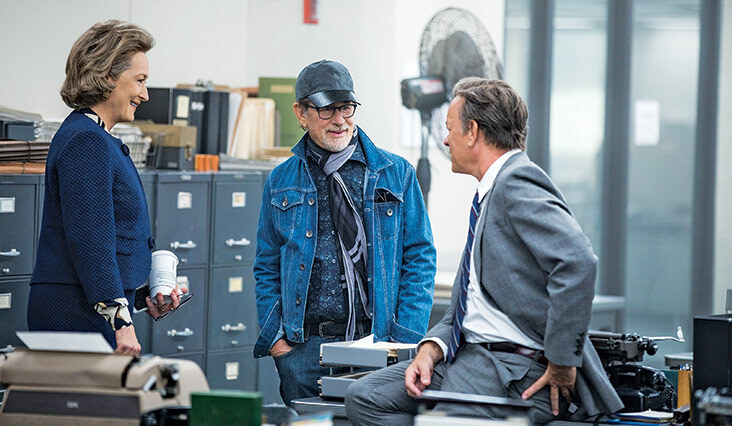 Once filming is under way, Singer adds, a screenwriter is ideally standing by, crafting lines as needed, rewriting, and sometimes even offering feedback (although those moments are few and far between when the director is Steven Spielberg). Watching Meryl Streep and Tom Hanks, with five Oscars between them, speak the words you’ve written is pretty heady stuff, Singer admits. “You never want it to end, because you’re convinced it’s never going to happen again.” That’s the ephemeral nature of the business, it seems. Everyone in Hollywood is in motion, working on a project or looking for the next one, which is probably why Singer spends a fair amount of time talking on the phone. He’s in Boston for just one night, to speak to students at Northeastern’s School of Journalism, but he has to keep moving the ball forward on his next project. During the drive from downtown Boston to Northeastern, that entails an impassioned phone conversation with a potential producer, with Singer forcefully outlining the time pressures of calls that need to be made, soon, and connections that need to happen, now, for the stars (literally) to align. At Northeastern that evening, Singer is both self-effacing and forthcoming as he shares the details of working in Hollywood with an auditorium full of students, all here despite the impending panic of finals week. Afterward, as they gather around, he’s encouraging and direct, answering questions and speaking to them as equals. Singer, after all, is still a student, endlessly curious and questioning. Yes, proceeds from working on The Post enabled the purchase of a new home in Santa Monica. Yes, he’s been invited to some fancier dinner parties. 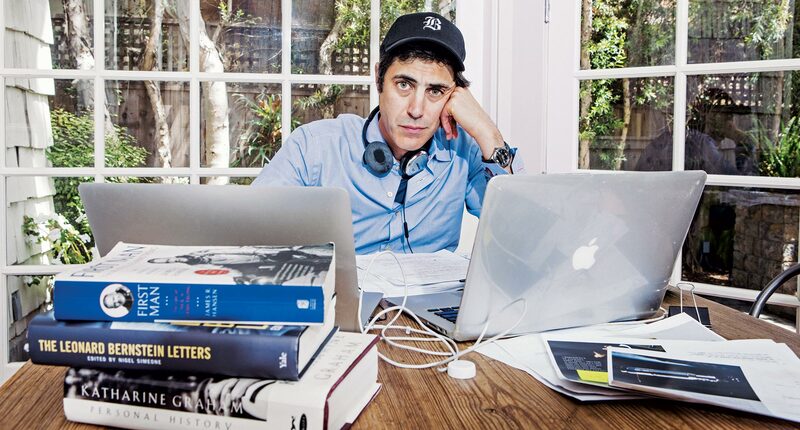 But the day-to-day routine hasn’t changed much: “I’m still sitting in my underwear, neurotic, trying to juggle different projects and put one story beat in front of another—hoping it will work and terrified it won’t,” he says. And whatever his monetary compensation, there are other ways to be paid. “The best thing to me is the feeling of fulfillment that comes when it seems we actually got the story right—that we brought to light something that should be known,” he says. That holds true whether it’s reminding us of journalism’s power or showcasing how grit, integrity, and difficult leadership decisions can play out on history’s stage. It’s all to the same end of inspiring a public conversation about issues that matter—of making movies that sell tickets and move minds. In development: The Fox Hunt, based on Mohammed Al Samawi’s autobiography about how four Facebook friends managed to extract a young peace activist from war-torn Yemen.